The BUYER are ready to buy/ LOI, negotiate term of the contract via Broker to purchase and receve commodities looking for SELLER ready to offer/ SCO and sell and deliver commodity. Quality and Quantity of the goods are final at loading based on quality certificate issued by IFIA member inspection company ordered and paid by SELLER. 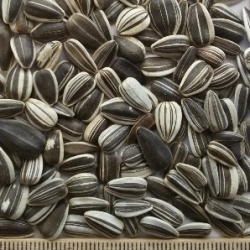 Quality of stripped sunflower seeds Iregi. Quality and Quantity of the goods are final at staffing in containers based on quality certificate issued by inspection company ordered and paid by seller.